The EEC is the first -and only- building in Plano to receive Leadership in Energy and Environmental Design (LEED) Platinum certification. Inside the building is a large meeting room where the city holds classes on a wide range of "green" topics. (Photo shot through a window.) Last year I attended a square foot gardening class and earlier this year I attended an energy efficiency class. Most of the programs are free, however, there may be a small fee for others. Click here for a list of upcoming programs. While there is much to be learned inside the building, there is just as much to learn on the grounds of the EEC. For example, this 20,000 gallon cistern captures rainwater from the roof of the EEC. By touching the side of the cistern, I was able to determine that it was about half full of water. The captured rainwater is used to flush toilets in the restrooms and to irrigate the landscape. This information came from the round blue sign next to the cistern. Similar signs provide information about various features around the grounds. This is a ground level demonstration of the living roof that tops the Center. The soil and plants help to insulate the building, which reduces energy consumption. Rainwater from the cistern is distributed on the roof top through drip irrigation. The EEC produces 30% of its electrical needs with solar and wind power. A 60 foot wind turbine behind the building produces 3,000 kWh of power per year. Water circulates through this thermal solar panel where it is heated by the sun and returned to a storage tank to provide hot water to the EEC. The panel is at ground level to allow visitors a close up view. Unfortunately, the panel is broken and covered with plastic. I suspect it was damaged by vandals. Solar cells line the top of this covered walkway and parking area. The EEC's 54-panel photovoltaic array generates an estimated 17,909 kWh per year. This open cistern collects rainwater from the walkway cover above. Rocks and a metal cattail sculpture are inside the cistern. I think it is supposed to function as a fountain, but it is dry now. This is the underside of the walkway cover. I believe this is reclaimed wood. Reuse is a recurring theme at the ECC. The shingles for this passageway are made of old road signs. Under the cover are some decorations that I believe are made with old fan blades. More of the artwork is on the walls outside the restrooms. You can see that this butterfly was made with an old license plate. This kinetic sculpture, "Eco Sphere" is made with stainless steel serving ladles. Here is a closer view. It was getting dark outside when I took this photo. The main reason I came to the EEC on this evening was to see the new landscaping around the building. When I was last here in early February, the only plants on the grounds were a few remnants from the native plant display garden that used to be here. By February, we had received some good rains, but lakes were still pretty low in February and we were facing the possibility of Stage 4 watering restrictions. Landscaping plans for the EEC were on hold since it was not known if there would be sufficient water for the plants.The city did not want to landscape the site with that possibility looming. Fortunately, the rain kept falling and watering restrictions were relaxed. And so the gardens were planted this spring. A sign welcomes visitors to the garden. Unfortunately, there were not any signs identifying the plants in the garden. I hope the city plans to add some. There were a couple of plants that I thought I recognized, but I was not 100% certain of the ID. Visitors would benefit from knowing the names of the plants that they like so they can obtain them for their own gardens. Here are several clumps of little bluestem. These plants look considerably better than mine do this year. Most of the pathways and even the parking area are composed of permeable materials, such as mulch, decomposed granite, and concrete pavers, to allow rainwater to soak into the ground rather than running off into the storm sewers. This is a variety of Nolina. Other native plants on the grounds are rusty blackhaw viburnum, gulf muhly, sumac, cedar elm, Eve's necklace, rough leaf dogwood, palm (probably Sabal minor), agarita, lantana, big muhly, desert willow, red yucca, rock rose, Mexican buckeye, cenzio, Gregg's mistflower, and zexmenia. The landscape also includes a few adapted non-natives like Vitex*, Russian sage*, Pennisetum fountain grass, and pink skullcap. A planted and mulched swale runs around the EEC. I did not notice if the swale drains into a nearby creek bed or if it will hold some excess rainwater and allow it to soak into the soil. Finally, there is a hands on educational play area that gives children several opportunities to learn about nature and sustainability. There is a bird feeder on the other side of this bird blind to attract birds. If the children are quiet enough, they may be able to see a wild bird close up. and ending with a butterfly ready to begin the cycle again. There is much to be learned at the Environmental Education Center. There is a good chance that kids will come here and learn something and then go home to teach their parents a thing or two but there are plenty of educational opportunities for adults as well. *I removed Vitex and Russian sage from my garden several years ago. These plants have appeared on invasive species lists and I was beginning to see why in my garden. On the positive side, they are both drought tolerant and attract bees. West Nile hysteria is running rampant in the Dallas/Fort Worth Metroplex. It is the top news story these days. Sadly, a few deaths have been attributed to the virus. The response from most municipalities is to spray chemical pesticides to kill the adult mosquitoes. Dallas may even begin aerial spraying later this week. I am only a couple of miles north of the Dallas border, so there is a possibility that southerly winds could blow the poison into my yard. Plano has sprayed several of the neighborhoods around mine in the last few weeks and my neighborhood is scheduled for spraying tomorrow night. According to the Health Department website, I can call to opt out. I don't know exactly what that means, but I plan to do call first thing in the morning. According to people that are supposed to be experts in this area, the widespread spraying of poison is safe. Just be sure you stay inside, bring your pets inside and cover your fish ponds when the spraying takes place. Interestingly, mosquitoes usually are not flying around late at night when the poison is being sprayed. Personally, I would rather take my chances with West Nile than have my neighborhood sprayed. I do not want my property coated with poison. I have organic vegetables growing outside that I do not want covered in poison. I have bees, butterflies, and other beneficial insects in my yard that I do not want to be harmed by the spray. I usually have a number of dragonflies in my garden. Dragonflies eat mosquitoes, but what kind of damage will the poison do to them? The best way to solve the mosquito problem is to get rid of standing water. I have been more diligent about completely emptying my bird baths each day because I have noticed mosquito larva in the water when I just top off the evaporated water. Probably the biggest mosquito breeding grounds in my neighborhood are stagnant swimming pools. I live in an older neighborhood that is in transition and several houses are vacant or have residents that do not take care of their pools. One look at aerial images on Google Maps and you can easily see several dark, swampy pools in backyards. One of these swampy pools is next door to me. The house been vacant for two years and neglected for several more. I report the pool to the Health Department every spring. The city drained the pool last year. Spring rains filled the pool this year and it was drained again a couple of weeks ago. Enough of my ranting. Here is a link to a study indicating that spraying for West Nile may cause more harm than good. Below is a short piece by local organic expert and radio personality, Howard Garrett. West Nile Virus is the most overblown health threat since the “killer bees.” Yes, people have gotten sick and a few have even died from WNV, but people need to try to put things into perspective. Unfortunately, a few people have died this year from WNV, but thousands of people have died from asthma and other respiratory diseases. The city of Fort Worth, TX has impressed me. They have done the right thing. They have realized that spraying does more harm than good and has spent their effort educating homeowners. The city of Dallas and other metropolitan areas across the country have been foolish. These cities have listened to the chemical pushers under the misconception that spraying toxic chemicals is helpful in controlling the mosquitoes. Spraying toxic chemical pesticides, known generically as synthetic pyrethroids, has been the primary recommendation. Besides being toxic, this procedure doesn’t work. An adult mosquito spray program conducted late at night, as is usually done, misses the primary activity time of the pests. It also sprays or fogs down streets primarily affecting front yards of residential property. Most mosquito problems are in back yards. When these airborne toxins reach water features, ponds and creeks, a common result is the death of fish including goldfish and koi. The risk of getting West Nile virus is remote. 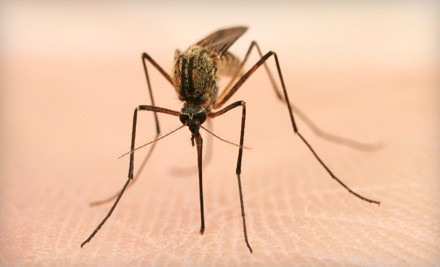 A very small percentage of mosquitoes have the virus, an even smaller percentage of people exposed to the virus develop symptoms and a minute percentage of those people even get sick. Deaths? Well, there are tremendously larger numbers of people who die from asthma and other respiratory diseases. Even the experts who push the toxic spraying admit that the pyrethrum and pyrethroid products adversely effect those with allergies and can actually cause those problems. Spraying toxic chemicals for the control of mosquitoes is a waste of money, an unnecessary assault on people, pets and the environment – plus it simply doesn’t work. There are very few adult mosquitoes flying around early in the morning when the spraying is done plus there is a good argument that the spraying actually increases the mosquito problem by killing beneficial insects such as dragonflies that help control mosquitoes. Synthetic pyrethroids like Scourge (resmethrin) are particularly hard on people with asthma and other allergies. These toxic products now contain piperonyl butoxide (PBO), a synthetic synergist that interferes with the insect’s system of neutralizing toxins. PBO makes the pesticide more effective at killing the targeted pest, but that override of the body’s detox system is also a concern for all other animals including birds, lizards, toads, frogs, beneficial insects, pets and humans. MSDS sheets (Material Safety Data Sheets) on these products available from pesticide manufactures point out that liver tumor increases in test animals has been significant. Of course, they claim that humans aren’t in danger. If spraying the air to try to repel or kill adult biting mosquitoes is required, there are highly effective non-toxic alternatives. They include garlic oil, cedar oil, mint oil, orange oil, and cinnamon – just to mention a few. And yes, there is university research on these products and techniques. 2. Treat water that cannot be emptied with gambusia fish or (Bti - Bacillus thuringiensis ‘Israelensis’) products such as Mosquito Dunks or Mosquito Bits. 3. Homeowners can spray to kill adult mosquitoes with plant oil pesticides such as Earth Harvest, Avenger and Eco-EXEMPT. Garlic sprays work well to repel the insects for up to 30 days. Even better, broadcast dry minced garlic to the site at 2 - 5 lbs. per 1000 sq. ft. Bonide Mosquito Beater Granules is another good dry product.